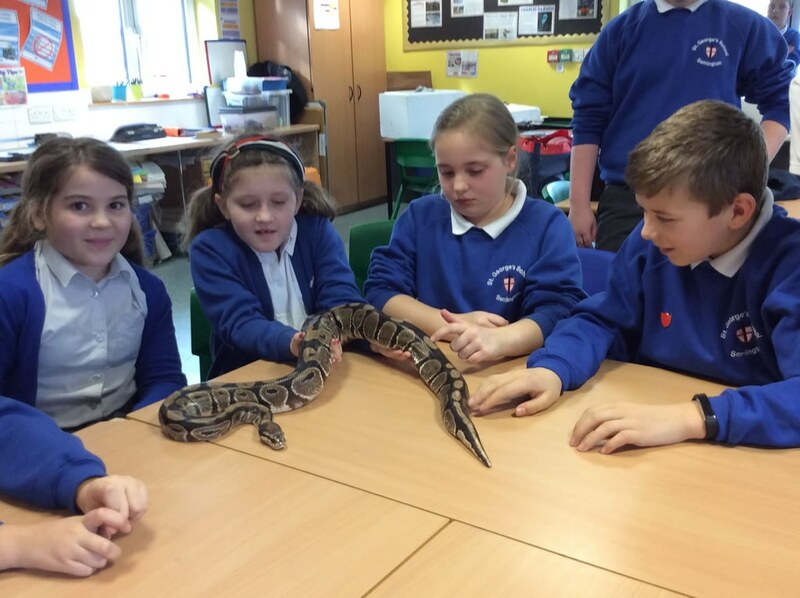 Kingfisher Class welcomed some unusual visitors to their classroom last week. 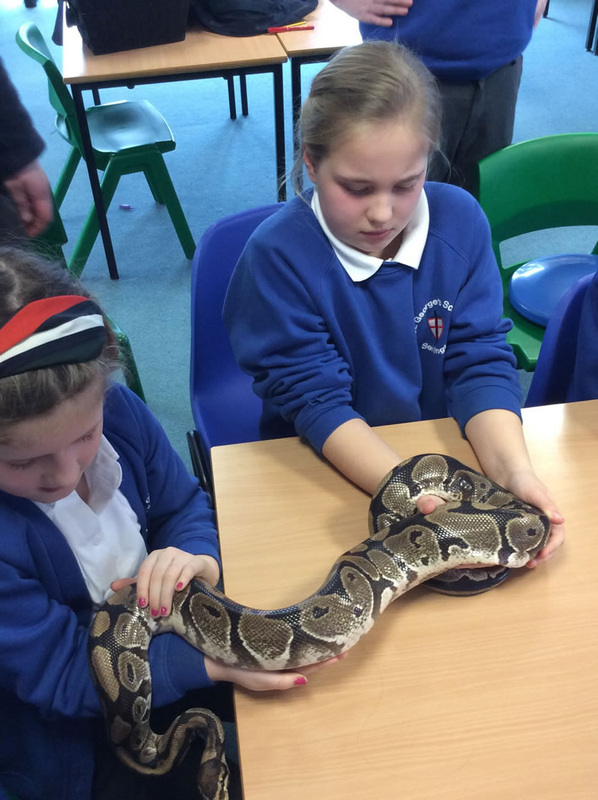 Keepers from Longleat brought along Snakes, Tarantulas, an Armadillo, Pancake Tortoises and a Tigu. They explained how each animal had special traits that enabled them to adapt to their environment and hide away from predators. 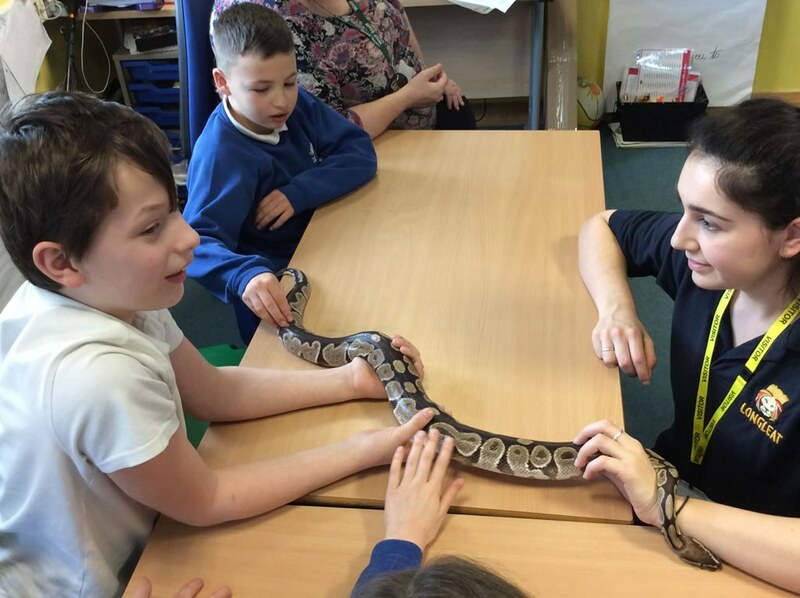 The children said it was great to be able to see the animals up close and study their features.